1. Zurich, small but superb: you'll really get that holiday feeling at the latest when you stand in front of the beautiful lake. For the more adventurous, a jump into the cool water from one of the many bridges on the River Limmat is recommended. The fact that you can also see the mountains from some vantage points will make even the hardest to impress tourists fall in love with this city. 2. That idea that all Swiss people eat chocolate might not fit so well with athletic and figure-conscious Zurich, but any local will definitely appreciate a compliment for the best chocolate in any case. Those aiming to get to know the Zurich locals should pay attention to their choice of clothes. Despite the many shops on Bahnhofstrasse and in the old town, in general the people of Zurich prefer the old and familiar rather than the unusual. 3. It's not for nothing that many Swiss people choose Zurich to go out for a weekend break. With its countless bars, clubs, and cinemas, everyone will find an evening programme to suit them in Zurich. With a little preparation, for example on usgang.ch, you'll find a venue playing the right music and you can dance the night away. Unlike in many other cities, it is in fact not common to go home at 2.00 am already in Zurich. Here, people party until the sun comes up and then, for the really crazy, it's onto the after parties. Fastest (but expensive) option: by taxi. The journey takes around 20 minutes and costs approximately CHF 70.-. 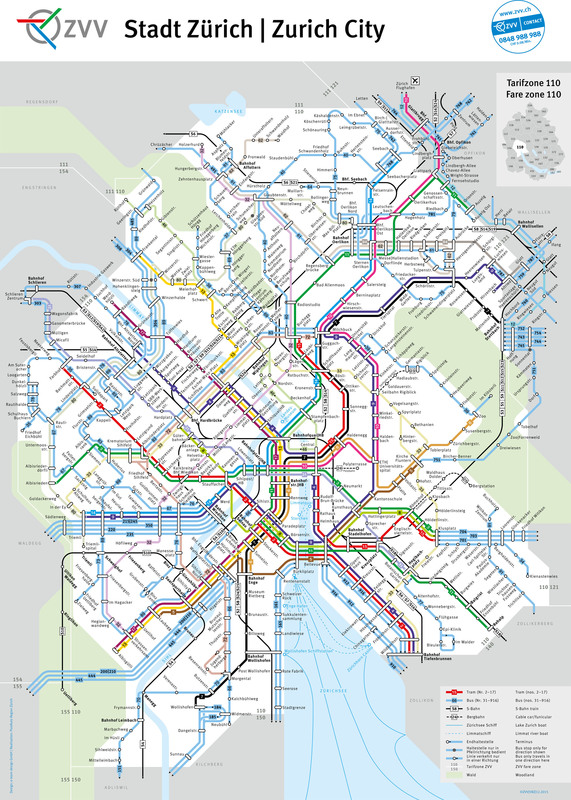 Cheapest option: By train. 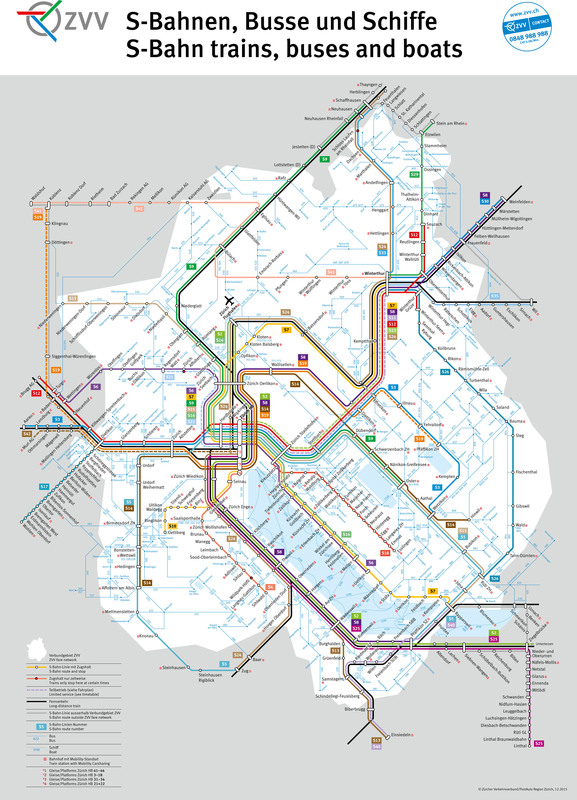 A one way ticket to the main station/the center of Zurich costs 6.80.- (3.40.- for a child). The trip takes about 10 minutes. Zurich is not too big and all the important places in the city are easy to reach on foot or even better with a rented bike. Nevertheless, it can save you some energy to switch to tram or bus now and then. Since the ticket prices are not exactly cheap, it's best to ask about the various ticket options at a counter at the beginning of your stay. Such counters can be found for example at the main station or airport. - Tipping: not necessary, but always welcome. For a cup of coffee that costs 4.20, for example, you can round up to 4.50. At a meal, the tip may also be more generous, but there is no fixed percentage to pay. If you didn't like the food or were not satisfied with the service, then you don't have to give a tip. - Is the tap water safe to drink? It's the best! - Langstrasse has lots of small bars, clubs, and often live concerts too (this district is home to the Olé Olé Bar, among others, which is also listed as a highlight). - Niederdorf has all sorts of bars (this district is where you'll find the Club Mascotte, among others, which is listed as a highlight). 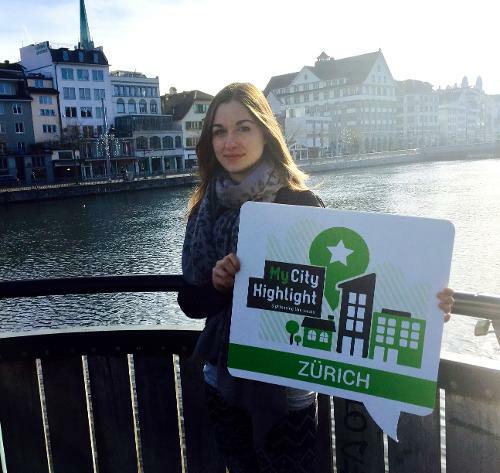 - Zurich West is the new trendy district for Zurich nightlife (this district is home to the Club Escher-Wyss, among others, which is listed as a highlight). in most places in Zurich people usually go out from 23.00 until 04:00. For those who still aren't tired, there are still plenty of after parties, where you can party until midday. Known as one of the most expensive streets in the world, you can find here but Chanel, Cucci and co. well known stores like H & M, Zara and more. In the first part of the Bahnhofstrasse also the "Jelmoli" has its place, a department store of it only once in the world, here in Zurich. If you like to explore smaller shops in hidden alleys, this is the place for you. This is also the perfect place to look for original birthday or Christmas gifts. The Langstrasse is actually known for its spectacular nightlife. During the day you will find here but a large selection of lively shops with goods from around the world. Here you can feel a bit like being in an oriental market. Special highlights for me are the Tilitulipan and the uniqueness, two shops sell the goods one-off items. The viaduct, on Escherwyssplatz, consists of many small, original shops and restaurants located under a bridge. The absolute highlight here is the market hall, which offers a lot to try and take home from meat specialties to freshly baked breads, various tea varieties and delicious treats from all over the world. Most shops are open from Monday to Saturday, although the exact opening times may vary depending on the location (c.a. 9am - 7pm: 00pm). On Sundays (with a few exceptions in December) most shops remain closed. If you need something urgently on a Sunday, you will find a selection of open shops in ShopVille, a shopping mall underneath the train station. - Although in some places the Zurich locals have a bad reputation and are considered rude, in truth, most are often just stressed because we work a lot on average. If you ask someone for help, most are actually very friendly and helpful. - There are lots of rubbish bins in Zurich and you should use them. - Instead of expensive drinks bottles you have to buy, Zurich locals prefer drinking from one of the countless fountains in the city. - Swiss German has no official grammar. Most books and TV and radio stations are available in High German here. - You can get by well with English in Zurich. - If you're traveling by car, it is worth looking for a parking space just outside the city and then continuing by public transport. Otherwise it can be quite expensive. My absolute favorite place to enjoy an extensive brunch is the Neni, a hotel restaurant between the main station and the Langstrasse. Here you can really find everything your heart desires; from simple bread rolls with fried eggs over various cakes to various Hummus variations and Kurchenkreationen is all there. In addition, the whole costs only 30.- (all drinks included), which I think is more than fair for the great offer. If you like a bit more upscale, I would suggest a brunch in Sprüngli coffee. The Confiserie Sprüngli is well-known for its fine Swiss chocolate and also the brunch offers high quality. Another highlight is certainly the brunch on the Üetliberg, the local mountain of Zurich. Every Sunday, the hotel "Uto Kulm" offers an excellent brunch with a fabulous view over the whole of Zurich. However, the brunch with 65.- is not exactly a bargain, but still worth it in any case. 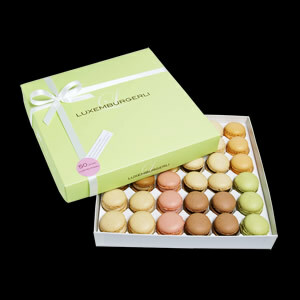 The delicate macaroons with finest stuffing is landmark for whole Zurich. Available at Sprüngli, Bahnhofstrasse 21, or at mainstation. 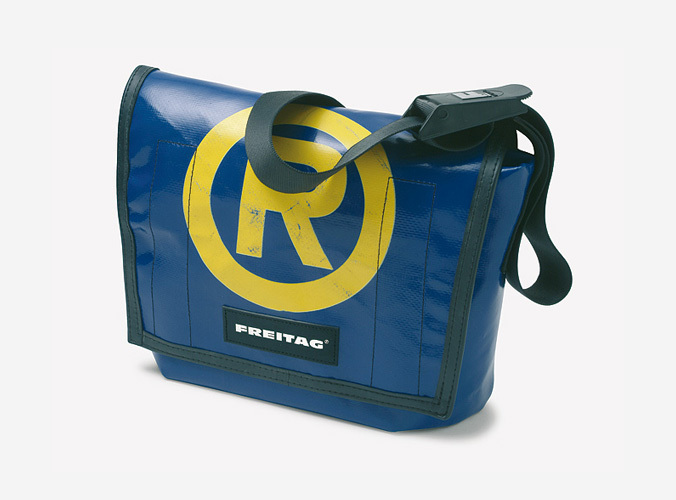 The "Freitag lab AG" is a manufacturer of bags and accessories made from used materials, mainly truck tarpaulins. Available are bags, wallets, cell phone or Ipad cases. Available in the flagship store of Friday, Geroldstrasse 17, Zurich or Friday Store, Green Lane 21, Zurich. Collection about the cultural history and the craft of Switzerland.